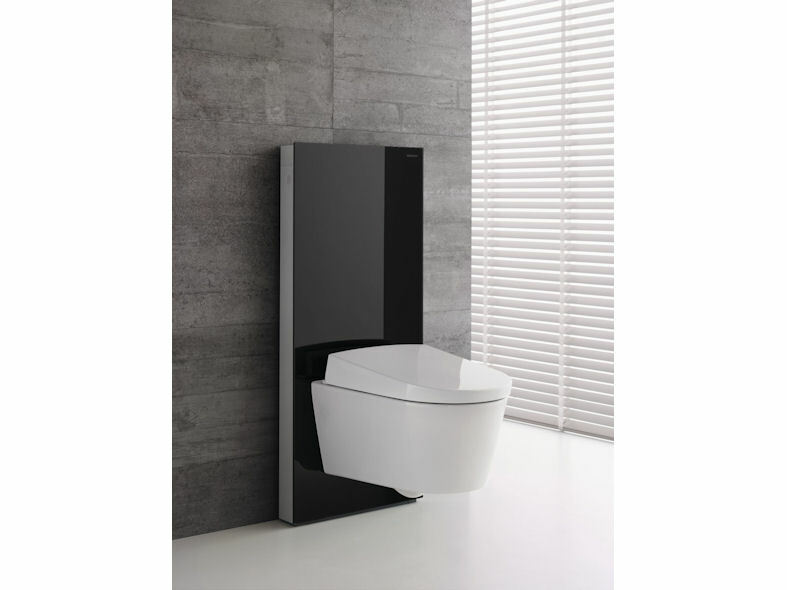 The benefits of washing with water are well-known, and the Geberit AquaClean range of shower toilets brings this spa-like wellbeing to any bathroom. 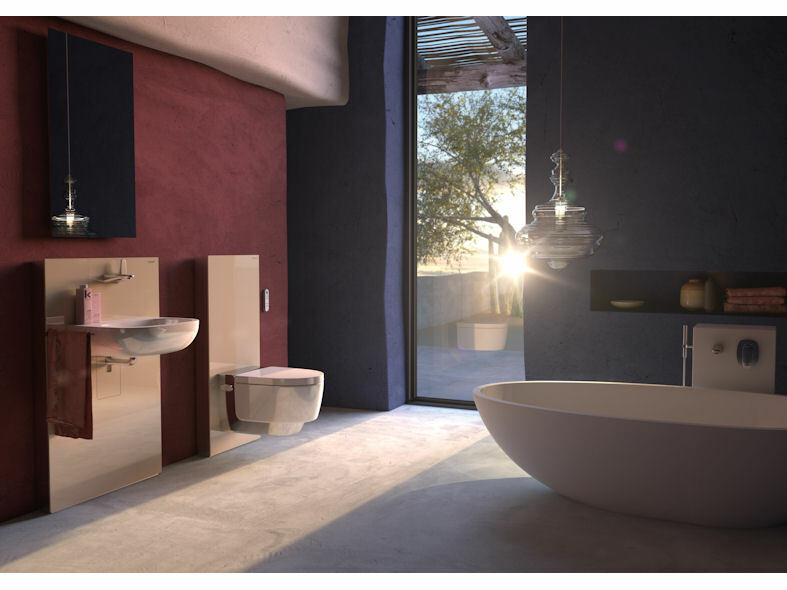 From the technologically-advanced Geberit AquaClean Mera and the streamlined, compact Geberit AquaClean Sela, through to the AquaClean 8000plus and enhancement models for upgrading existing WCs, the range provides the ultimate luxurious pampering experience. 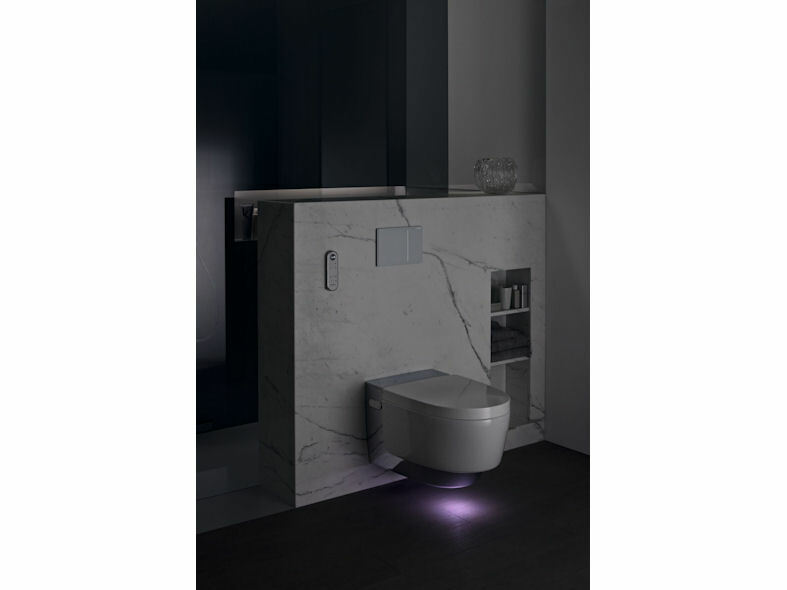 The Geberit AquaClean Mera features the very latest in toilet technology, including a proximity sensor which automatically raises the WC lid and starts warming the seat on the user's approach. The patented WhirlSpray shower technology provides gentle cleaning with warm water, while a separate lady wash delivers a soft shower spray when activated. A warm air dryer comfortably dries the user, while a built-in odour extraction unit fills the room with clean, fresh air after every flush. 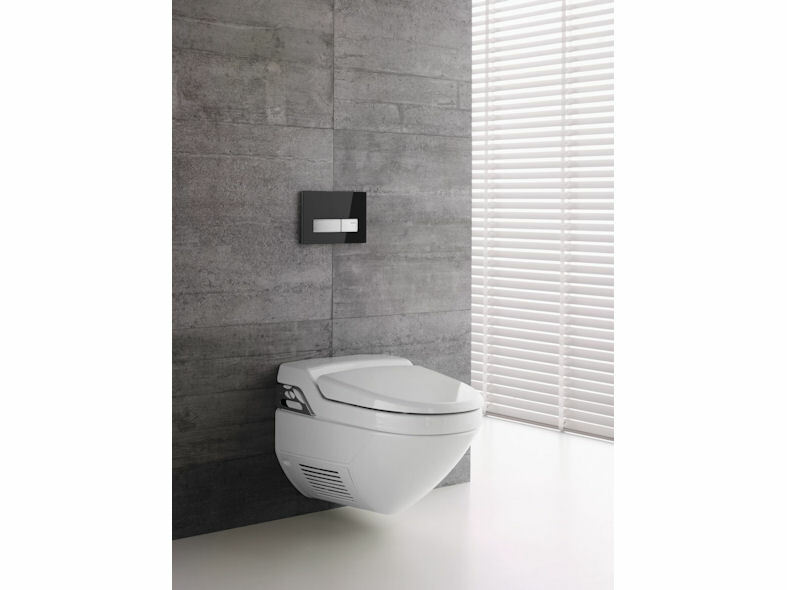 Simple to operate, up to four user profiles can even be stored in the remote control, while the toilet pan itself is rimless to optimise hygiene in the family bathroom and the turbo flush ensures quiet operation. 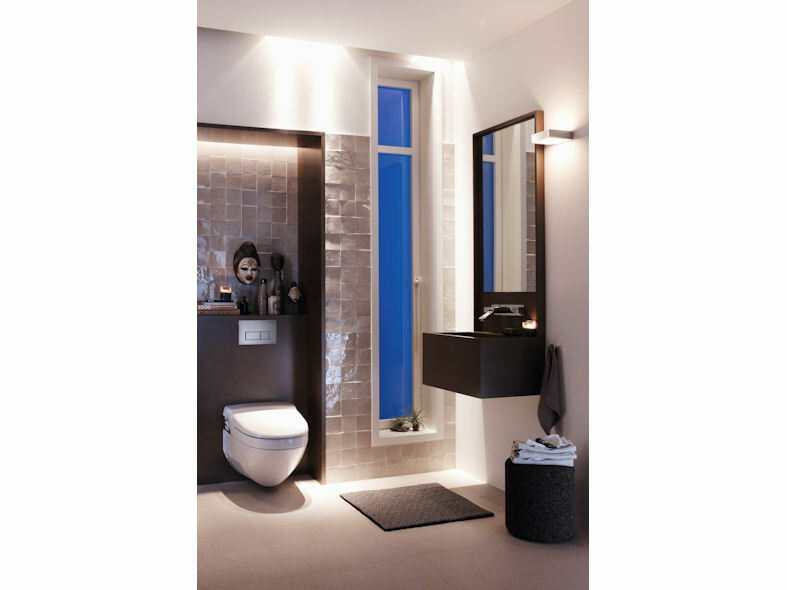 And if the bathroom is being used at night, a discreet orientation light on the Geberit AquaClean Mera guides the way. 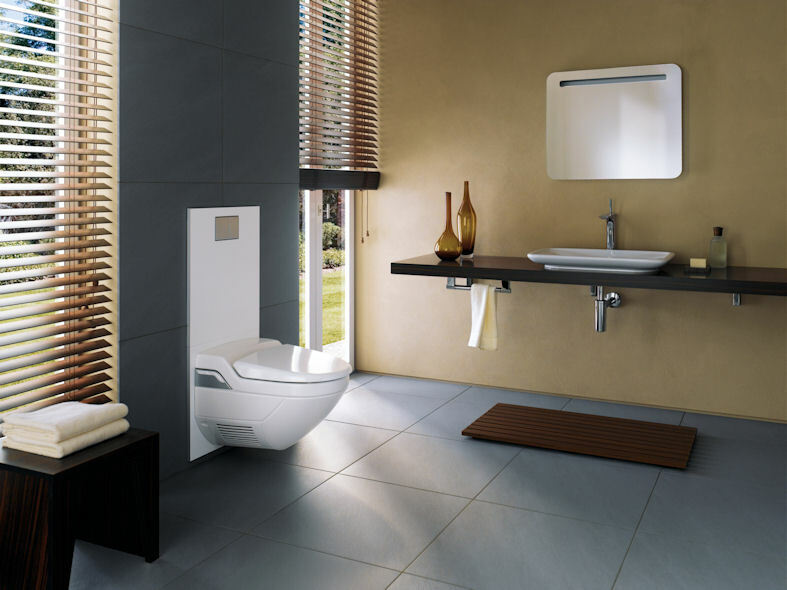 Geberit AquaClean Sela is available as a wall-hung or floorstanding version and looks just like a normal WC, enabling it to fit discreetly into any bathroom. At the touch of a button, it washes the user clean with a gentle, airy water spray at body temperature. The intensity of the water can be adjusted to one of five levels, while the oscillating spray provides a particularly beneficial clean. 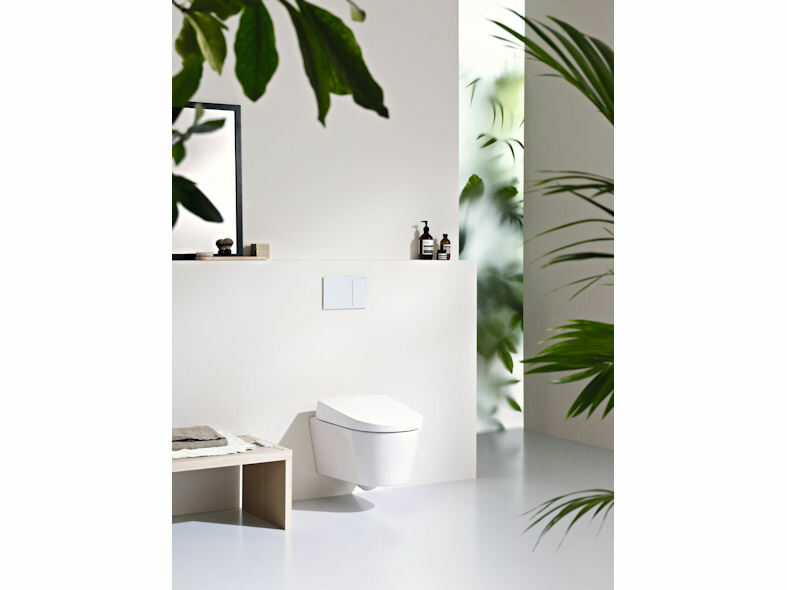 Combining the functions of a toilet and a bidet, Geberit AquaClean 8000plus offers many extra pampering functions in addition to the shower function. These include an adjustable spray temperature and intensity, a pulsating massage function has an invigorating effect, an integrated warm-air dryer and an automatic odour extraction function, which creates a pleasant ambience of freshness in the room. 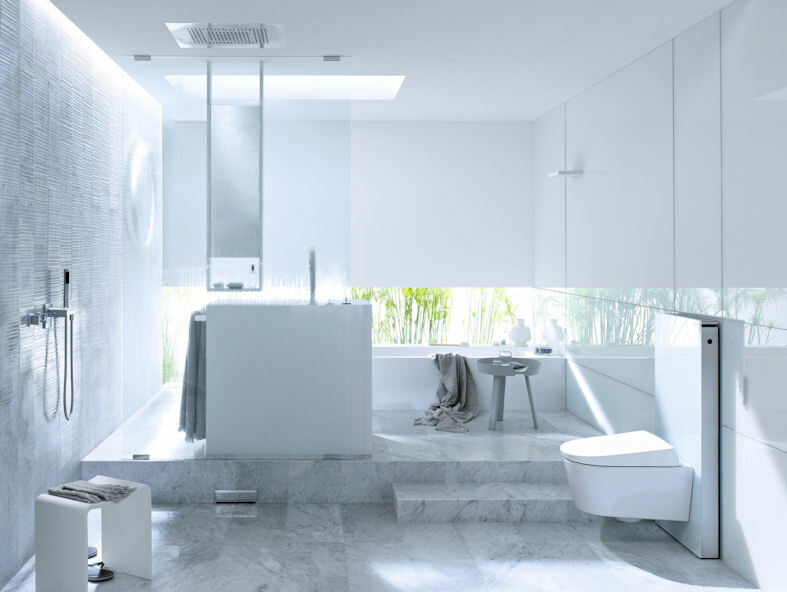 Finally, the Geberit 4000, 5000 and 5000plus offer all the benefits of a shower toilet and can be simply installed on an existing WC pan, with easy connection to the water and power supply.